Box Office will be open at 6:00 p.m. and the House will open at 6:40 p.m. Sandwich High School’s very own show choir – Sandwich Soul, is under the choral direction of Melinda Lasit, and under the theatrical direction and choreography by Kevin Lasit. The show choir is now going on their sixth year, and within the past five years, the group has become an award winning show choir taking first place with superior and excellent ratings consecutively at local choral festivals and competitions, and last year, Sandwich Soul took the over-all highest points award for the choral music category in New England. 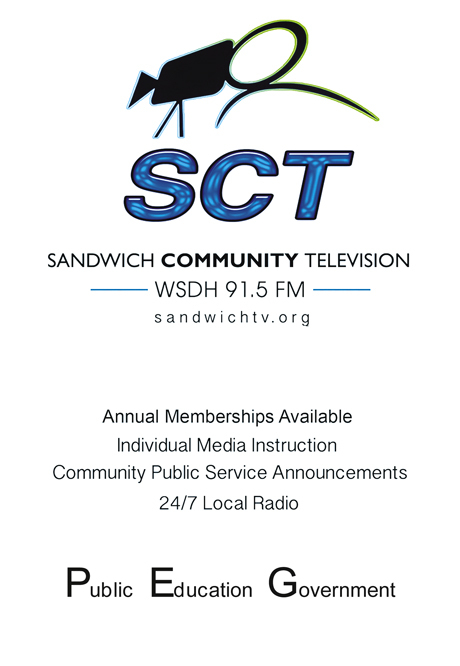 Sandwich Soul was also highlighted on the television show Chronicle as part of the town of Sandwich’s arts and cultural district. Sandwich Soul also does many local performances for the community of Sandwich such as singing the National Anthem for Memorial Day and the DeConto Memorial Road Race, several holiday performances at Heritage Museum and Gardens, and an annual performance at Sandwich’s Holly Days and First Night of Sandwich. Sandwich Soul was also highlighted at the town of Sandwich’s 375th year celebration and ceremonies and sang the national anthem at a Boston Celtics nationally televised game. The show choir has toured to NYC and participated in Disney’s Broadway Musical Theatre workshop and also participated in an international choral festival taking first place. Soul has toured to Orlando, Florida, where they performed a medley from the musical Wicked, in an international choral festival, where they took first place with a superior rating. They also participated in a highly acclaimed accredited Disney Broadway workshop. Saturday, November 25th at 7 p.m. The House will open at 6:40 p.m. The Sandwich Town Hall Preservation Trust and Theatre of Sandwich proudly presents vocalist Jessica Curran and Friends, Saturday 25 November, 7 p.m. on the Glass Town Stage at Sandwich Town Hall, 130 Main St. Sandwich. The concert will benefit the artist and Sandwich Town Hall Preservation Trust. 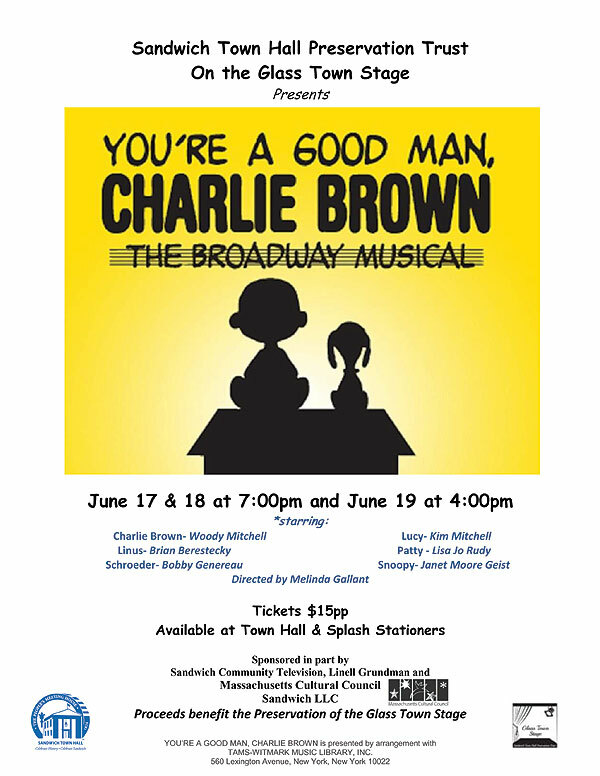 Tickets are on sale now at Sandwich Town Hall, and at Slash Stationers, 126 MA-6A. The box office will open at 6:00 p.m. and the House will open at 6:40 p.m. There is no reserved seating. Ms. Curran is a 2012 graduate of Sandwich High School who earned a Cape and State reputation as a superb vocalist performing with the swing band Stage Door Canteen and various other groups while still in High School along with competing as a vocalist throughout High School. Her versatility spans jazz, funk, pop, and rock. She studied jazz, voice, and performance at the University of Northern Texas before continuing her studies at Kungl, Musikhogskoln in Stockholm Sweden. 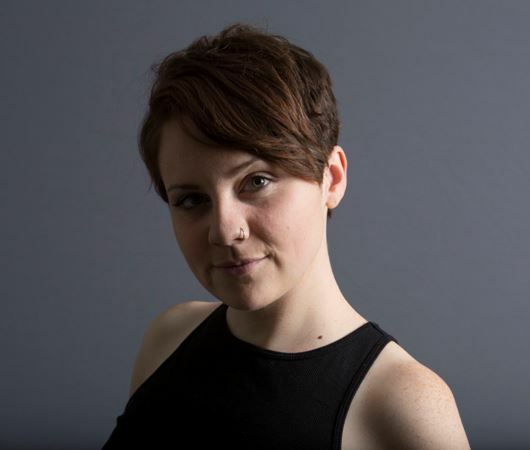 Currently based in Stockholm, Jessica not only sings jazz standards from the American Songbook, but arranges for a multitude of colorful instrumentation and is being commissioned for her writing ability. Most notably, Jessica had the opportunity to musically interpret the Nobel Prize in Economics for Stockholm’s Nobel Museum in 2016. She has just launched her premiere album of original songs, “Here,” which she has also arranged. Jessica is a true musical collaborator performing with musicians in Europe and beginning this month appearing in various locations in the USA. Her first Album has been very well received. The Sandwich Town Hall Preservation Trust and Theatre of Sandwich are so happy to bring Jessica to the Glass Town Stage in her home town. Tickets are selling already. Jessica’s amazing voice and musical art is something rare and beautiful. Please plan to attend. This is the fifth and last season of Sandwich Town Hall Preservation Trust’s silent film series which recreates the original silent film atmosphere: live piano accompaniment by John Read on the historic 1894 silent film piano; pre-movie introduction by Liisa Niemi dressed as a flapper; and the original restored Sandwich Town Hall second floor where silent films were shown beginning in 1915. The Sandwich Town Hall transforms back into its origins as an early 1900s film auditorium (see articles, below) with special screenings of classic silent films, complete with John Read of Yarmouth playing piano accompaniment and Liisa Niemi of Mansfield offering pre-movie narration dressed as a flapper. 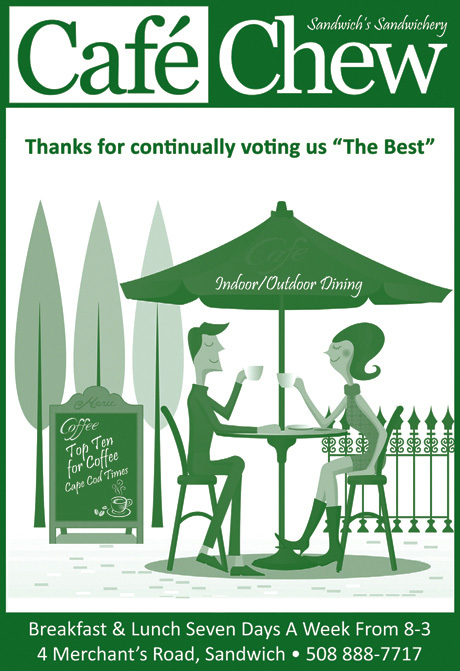 John and Lisa are enthusiastic supporters of this unique art style. Continuing its celebration of the oldest running Town Hall in Massachusetts the volunteer group Sandwich Town Hall Preservation Trust (the recent winners of the 2011 Massachusetts Historical Commission Award) are presenting this acclaimed film series to support the stewardship of this historical 1834 building. In 1915 or a little later silent movies began to be shown in the Town Hall and a piano, an upright in the Mission style made by Jacob Doll & Sons for the Frederick Piano Company, was acquired by the town. It was played by local residents, Minne Bunker Wimmer, Eva May Harlow, and Mary Haines Morrow, to accompany the silent movies. 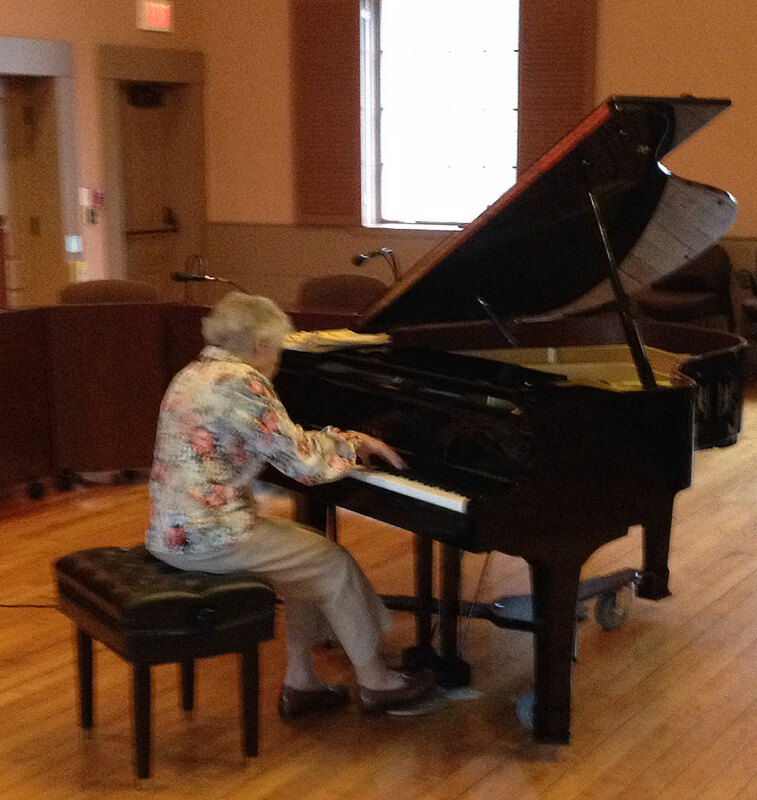 The hall’s past as a silent movie venue lives on as the original piano is still in use. The accompaniment is by Yarmouth resident John Read, an experienced pianist and organist who plays without sheet music. The shows begin with an introduction to place the classic films in their historical context. Liisa Niemi is an IBM manager by day but in her free time she collects antiques and curios from the 1920s. Drawing on her knowledge of the period, Niemi regularly introduces silent films soundtracked by Read. To add authenticity to her presentation, Niemi wears the clothes of a Twenties flapper. The plan to bring the town hall back to its movie house past began with Town Hall Preservation Trust member Jonathan Shaw. Upon seeing Read and Niemi’s silent movie showcase, Shaw brought the idea back to the organization, who selected it as a companion to the restored building’s annual event, an old time radio radio-styled variety show. Between the variety show and the silent film, the town hall has played host to vintage entertainment since its re-opening. The shows’ tickets serve as a source of funds for the continued upkeep of the space. The focus on old-fashioned events draws attention to the building’s history, which stretches back to 1834. The latest renovations brought the building up to date as a community venue while keeping its interior consistent with its original design. The Silent Film Series is now in its fourth season. In 1915 or a little later silent movies began to be shown in the Town Hall and a piano, an upright in the Mission style made by Jacob Doll & Sons for the Frederick Piano Company, was acquired. It was played by local residents, Minne Bunker Wimmer, Eva May Harlow, and Mary Haines Morrow, to accompany the silent movies. The projectionist turned the film by a hand-crank illuminated by a carbon-arc. A primitive generator located in a garage across the street from the Town Hall provided the electricity. Nonetheless using a carbon-arc projector was dangerous business and likely to set a building on fire. To protect the Town Hall from fire, the projectionist was provided with a urinal and required to remain continuously on duty when the carbon-arc was running. It is said that occasionally the engine of the generator would fail, the screen would dim, and boos and hisses would arise from the audience who had paid a nickel to attend. In 2009 the entire building was restored to its former glory. The second floor ballroom is particularly beautiful with its historically accurate stenciling of tan and brown paint and gold leaf, theatrical stage, balcony seating and fully restored historic shuttered windows. Once again, the second floor is used for movies and theatrical productions. The Sandwich Town Hall, within the newly designated Glass Town Cultural District, was granted a Preservation Award for Rehabilitation & Restoration by the Massachusetts Historical Commission in 2011. A great time was had by all! 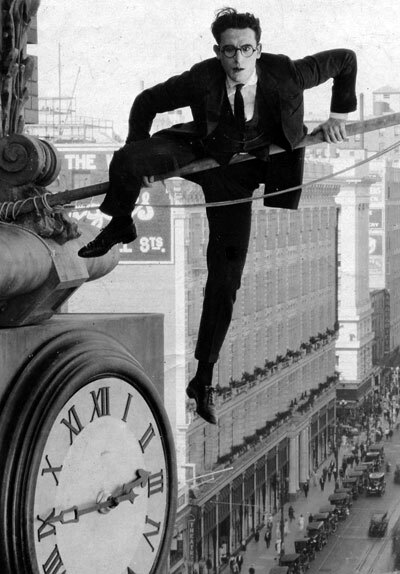 The feature film was “Safety Last” with Harold Lloyd’s famous clock routine. The short “Coney Island” with Fatty Arbuckle and Buster Keaton was also shown. Piano-player extraordinaire John Read and “Flapper” Lisa Niemi were terrific! This comedy classic was highly successful and critically hailed, and it cemented Lloyd’s status as a major figure in early motion pictures. It is still popular at revivals, and it is viewed today as one of the great film comedies. The film’s title is a play on the common expression, “safety first,” which places safety as the primary priority to avoid accidents. Lloyd performed some of his climbing stunts despite losing a thumb and forefinger in an accident while making a film four years earlier. JOIN the Sandwich Town Hall Preservation Trust as a Member to support the vital stewardship of the 1834 Sandwich Town Hall as a major cultural, functional, and historic asset of the Town of Sandwich. Your tax-deductible support will assist the non-profit Trust as a resource for volunteers, events, and programs and as an advocate for the perpetual protection and preservation of the historic Sandwich Town Hall. It was neglected in the past; your membership will make sure that it will not be neglected in the present or the future. Already a member? Choose level below and click Renew button. Enter CAPCHA Code Then Click "Submit." You Will Then Be Taken a Payment Page. OR, if you prefer, you may download the Membership Application and mail with payment. Click HERE to download a PDF. 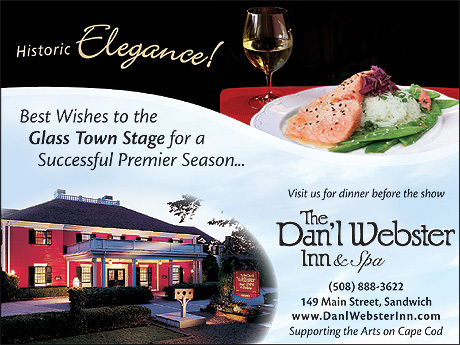 OUR THANKS TO ALL FOR A GREAT GLASS TOWN STAGE INAUGURAL SEASON! Sandwich MA: It was in 1834 when it was decided Sandwich MA needed to have a civic Town Hall separated from the local church. A place to gather the community for meetings and activities of the community. The perfect location was next to the local grist mill at the northern end of lower Shawme Pond. In this area a majestic Greek revival building complete with stage for performances and orations by local towns people was built. 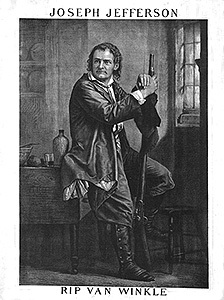 The upper Town Hall floor, besides Town Meetings, hosted military balls during the Civil War, school presentations, silent movies, and at the turn of the century actor Joseph Jefferson (the George Clooney of his day) in Rip Van Winkle his most famous role. Knowing all this history, The Sandwich Town Hall Preservation Trust, after the renovation and restoration of the building, began to think about the use of the historic stage. What began as an idea in December 2014 has now been realized. 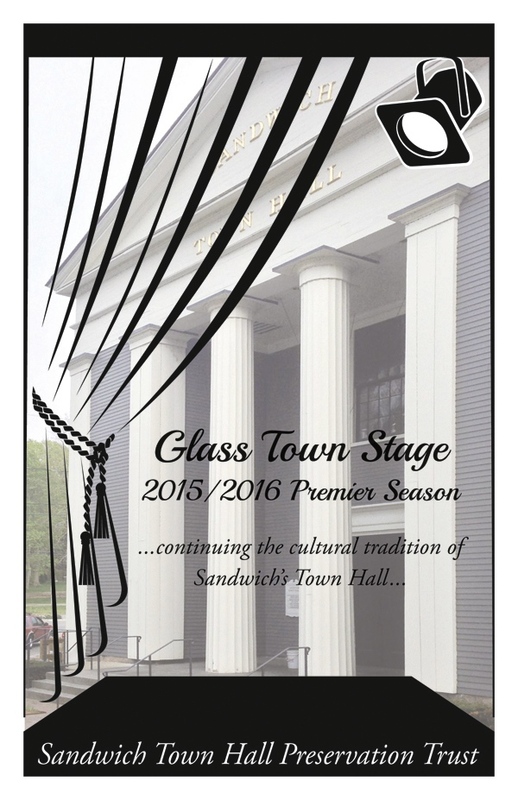 The Sandwich Town Hall Preservation Trust (STHPT) has been pleased to present the inaugural season of the Glass Town Stage 2015-16. This inaugural season featured community theater, children’s theater, art shows, movies and concerts. The STHPT proudly partnered with various cultural groups around the area including Cotuit Center for the Arts and the Sandwich Arts Alliance. The Town Hall Preservation Trust has been proud to produce this exciting program. Support the economy of Sandwich Village. Thanks to the Board of the “Trust” for supporting this effort and being the sounding board along the way. Thanks to my fellow sub-committee members, Melinda Gallant and Joe Carlson for their inspiration, time, and efforts and especially to Melinda for her outstanding management skills. Thanks to the many arts organizations we are collaborating with. It has been fun to negotiate this effort with you. Special thanks to the Kathy Coggeshall and all the supportive staff at Sandwich Town Hall for their continuous help and support. And most importantly, thanks to the audience for being here. Tickets will be sold on the date of the performances/events beginning one hour before the start time. We offer no senior or student discounts with the one exception of a child centered performance. Our facility is fully accessible but we do not have hearing enhancement technology. There is no reserved seating. 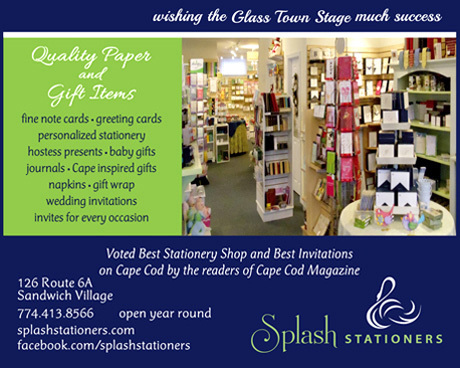 Splash Stationers, 126 Rte 6A, Monday – Saturday from 10am to 5pm. 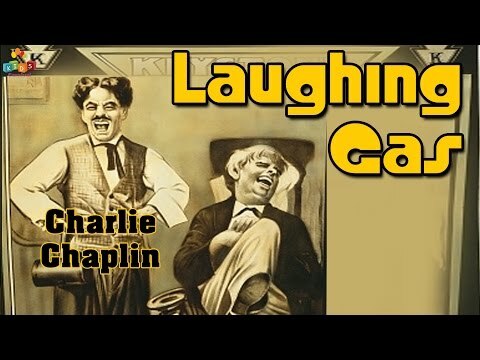 Sunday: noon – 5:00 p.m.
Charlie Chaplin plays a dental assistant. What could go wrong? 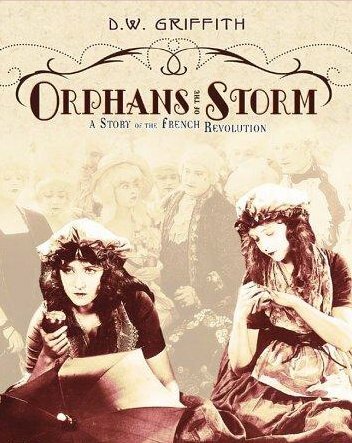 “Orphans of the Storm” (United Artists, 1921), directed by D.W. Griffith, is a grand scale silent melodrama with the central characters being two young sisters (Lillian and Dorothy Gish) caught up in the turmoil of the French Revolution, encountering misery and love along the way. Much of the film’s success is due to the remarkable acting of the Gish Sisters. Acclaimed for her comedic talents, Dorothy here gives an almost completely serious performance, portraying a blind girl cruelly separated from her beloved sister and forced to beg in the streets. Lillian, her classic face mirroring a myriad of emotions, plays the sibling persecuted by both lecherous aristocrats and rapacious revolutionaries. The scene in which Lillian, in an upper chamber, hears Dorothy singing in the alley below but is unable to reach her, is almost unbearable in its emotional intensity. Live piano accompaniment by John Read! 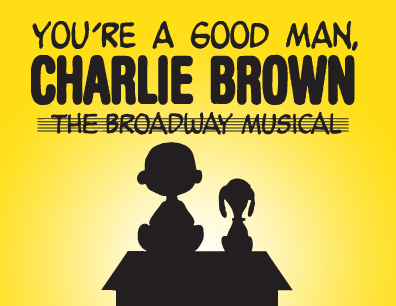 The classic Charles Schulz family fun musical.